It's Just the Coffee Talking: Home from tent camping across the state of South Dakota! Badlands, Custer State Park, Palisades and more! Home from tent camping across the state of South Dakota! 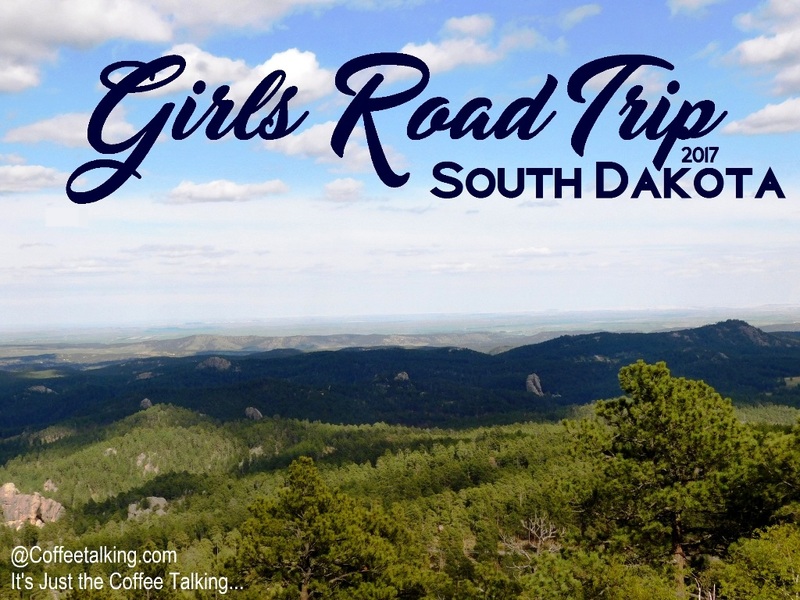 Badlands, Custer State Park, Palisades and more! I didn't mention my travel plans on It's Just the Coffee Talking prior to leaving, for safety purposes. But we are home now after two weeks of traveling! It was a girls-trip - just me and my daughter. I'm not sure how I want to blog about the trip yet. I know some of our planning, packing and travel information will be helpful to my readers so I just need to figure out how to organize my thoughts. (Blog by pre-planning, then trip? Blog day by day? Blog by place? And how many photos, how much information? Links to places, items I bought or or used, etc?) So let me rest for 1 day - take a deep breath - get caught up on 2 weeks worth of mail, cleaning, getting our household back in order and unpack... and I'll be back!